Open Utility Trailer For Sale | T.P. 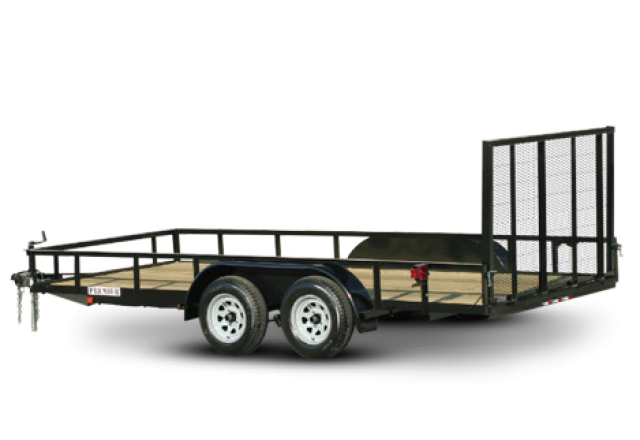 Trailers, Inc.
Our utility trailers are designed to serve a wide range of hauling needs. We offer economy, regular-duty and heavy-duty models in single and tandem axle. Additional options include steel decks, solid or mesh sides, spare tire mounts, tie down loops and more. Come check out our selection of utility trailers for sale or call to talk about finding one that suits your every need. Nothing beats the versatility and functionality of utility trailers, and Aluma takes things up a notch. 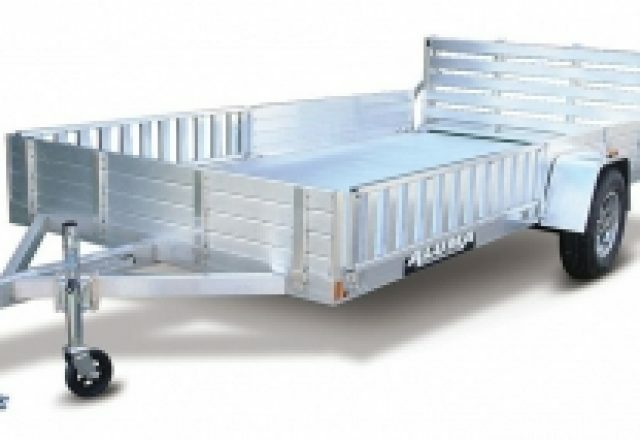 Constructed with extruded aluminum floors, aluminum fenders, wheels and tailgates, Aluma utility trailers know what it takes to handle hauling golf carts, ATVs, UTVs and so much more. Check out the selection we have available and find some of the best open utility trailers on the market. 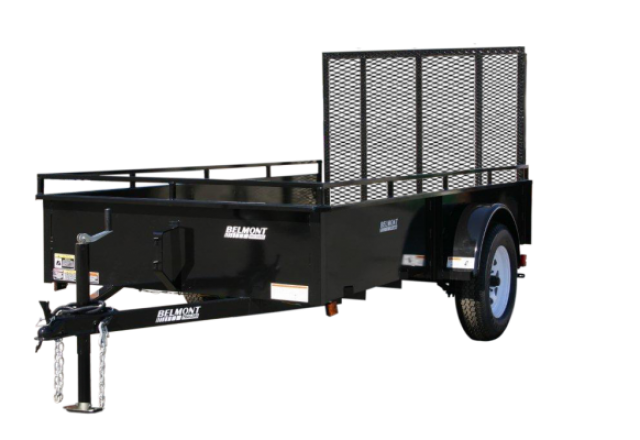 Belmont utility trailers are top of the line and offer a unique blend of functionality and style. Belmont is the name to trust with options such as solid or open sides, spare tire and mount, galvanized trailers and much more. Be sure to check out our selection of utility trailers. Open utility trailers, one of Premier’s leading specialties, are essential to any landscaper, homeowner or recreational sports enthusiasts. 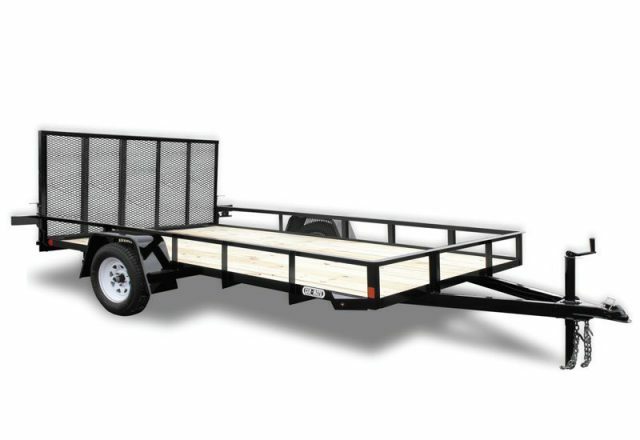 Get the trailers that will serve you the best and offer you upgrades to customize the trailer to fit you; extra bed length, solid sides, spare tire and mounts, sides gates and colors are all available. Utility trailers by Car Mate are made with quality in mind and have different prices to fit the needs of our customers. We have a ton of colors, sizes, styles and features to choose from such as galvanized trailers, spilt mesh gates, side gates, spare tire and mount, solid sides and more to choose for your new trailer. Take a look at what we have to offer!